It is time. 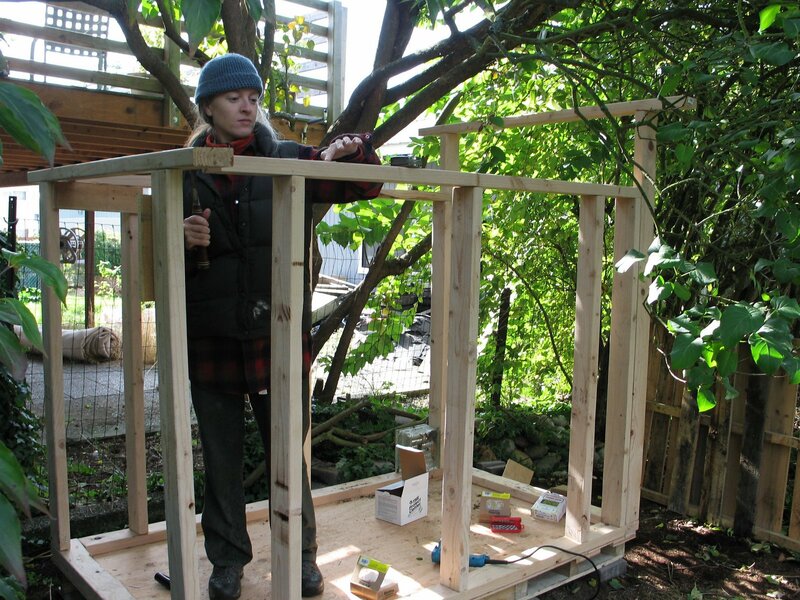 Inspired by Michael Pollan’s ‘Education of an Amateur Builder’, as well as the Money Pit experience of new home ownership, we are building our own chicken coop. 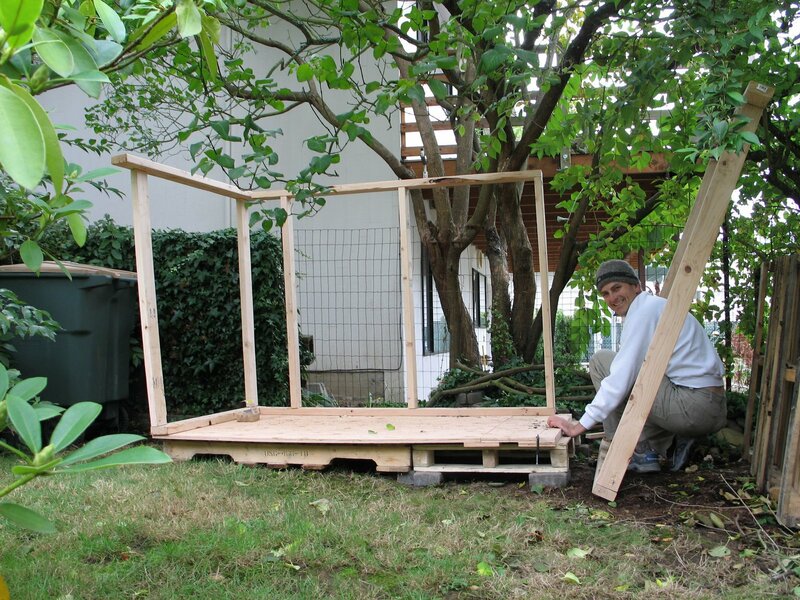 After MUCH deliberation, we decided on 20 sqft (3.5’x5.5’ ) rising 4’ to 5’, accommodating 3 nest boxes and 3 roosts of various heights to keep our wee flock entertained during the long wet of the Pacific Northwest. 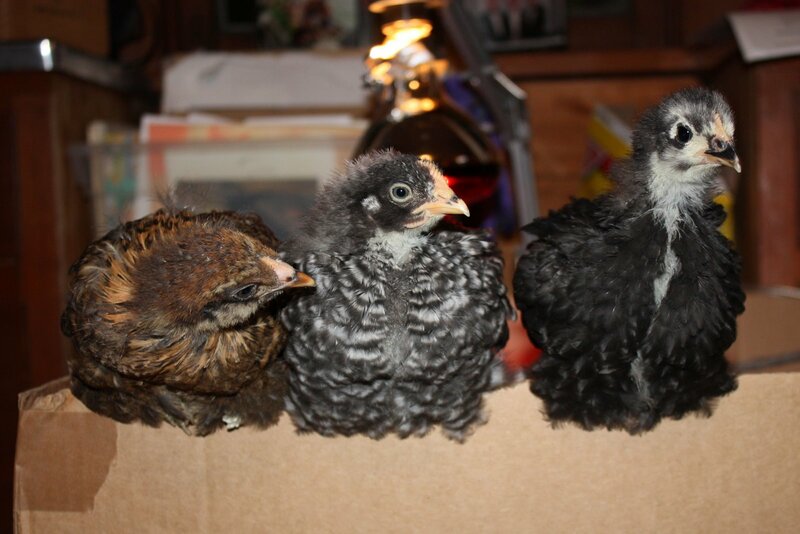 The run will follow as they don’t yet have enough feathers to hang out in the chilly outdoors. Designing and building this structure is far harder than I imagined. First there were the requirements: 3-6sqft/bird, nest boxes 12x12x14”, roosts no less than 2’ off ground 12” apart and 18” from wall and ceiling, 1sqft light/10sqft of space, etc. Materials? Cost? 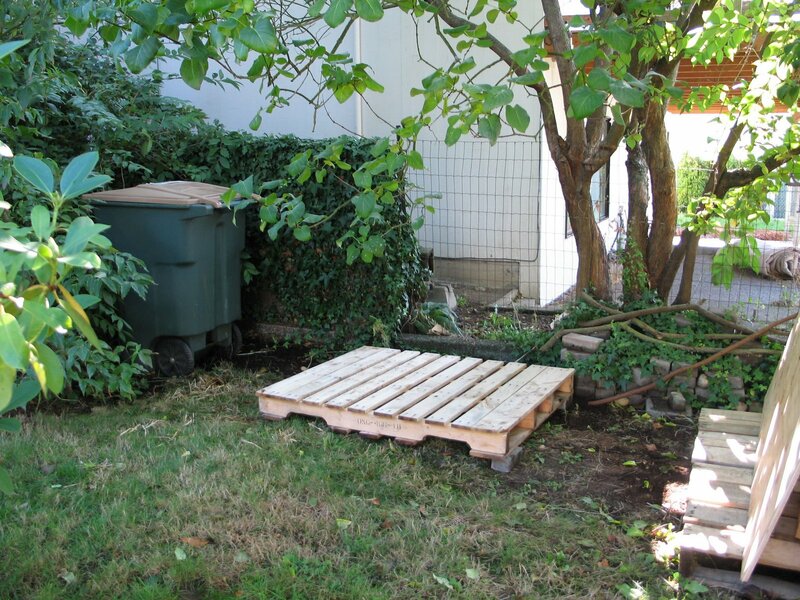 Via Craigslist and the West Seattle blog, we acquired some free materials, but we still had to make a $$ trip to Home Depot for lumber and a sheet of plywood. And finally, how to bloody well construct the thing? I decided to frame the coop like you would a house because it was something I could understand. But I’ve never actually done this, so when it came down to details I wondered things like: How do you attach studs to the bottom and top plates? What happens at corners? How do you join walls? How do you join rafters to the top plate? What are my options for putting in doors? Windows? Still-fraught with questions, we purchased our lumber and started construction. I’d like to say it went smoothly. The fact that after two days we’re not finished tells you it hasn’t. But we are learning a ton and beginning to have our own ideas about how to proceed with the finicky details. 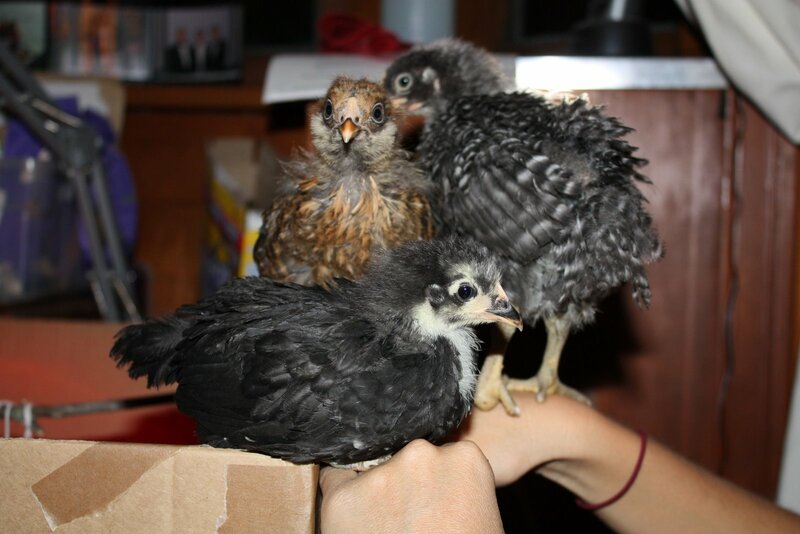 This entry was posted in baby chickens, chicken coop / run, DIY. Bookmark the permalink. Jen, call us if you have construction questions – Peter will know.